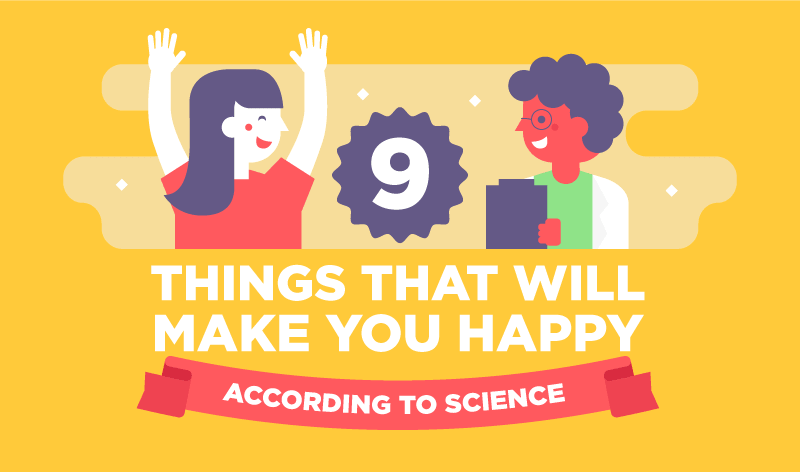 Philosophers have argued over the nature of happiness for thousands of years. Yet the average person still struggles to find their own path to contentment. With all the developments of the modern age, you’d think we’d have worked it all out by now; so why are we still asking ourselves the age-old question? Because happiness means different things to different people, and there is no one definitive method for finding it. What we do have, however, are scientifically proven tips on where to begin. For example, quitting Facebook may be daunting, but one report showed users who deactivated their profile for one week enjoyed increased happiness ratings. Another study showed that looking at cute pictures of animals can make us happier and more considerate — but maybe we didn’t need science to tell us that.